Elizabeth G. Hines is an author, editor and strategic communications specialist. She was the founding education editor at AlterNet, a syndication service and online community of the alternative press, featuring news stories from alternative newsweeklies, magazines, and web publications. Her work has appeared in the Huffington Post, Women’s eNews, AOL’s Black Voices, Black Enterprise Magazine, and Babble.com, and she is the co-author of the best-selling biography, Black Titan: A. G. Gaston and the Making of a Black American Millionaire, winner of the 2004 Non-Fiction Book Honor from the American Library Association. Previously, Ms. Hines served as the communications director for the White House Project, a non-profit organization that worked to increase female representation in American institutions, businesses, and government. She was also a senior member of the communications team at the Ms. Foundation for Women, and now heads her own communications and consulting business, which works with foundations and advocacy organizations to advance their communications capabilities and improve their messaging effectiveness. 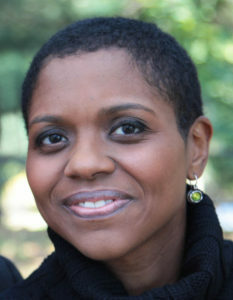 Throughout her career, Ms. Hines has dedicated herself to helping non-profits grow, in part by serving on the boards of a wide variety of organizations, including: The Third Wave Fund, The Women’s Media Center Advisory Board, LIFT (Legal Information for Families Today), People’s Production House and The Independent Media Institute. Since 2004, she has served as a trustee of the The Hotchkiss School in Lakeville, CT, where she previously chaired the board’s Gender Task Force and now chairs the board’s Community Life Committee, working with faculty and other trustees to oversee the health and well-being of the community at large. From 2015 – 2017, Ms. Hines lead the effort to rewrite the school’s mission statement, which involved targeted outreach to more than 2,000 individuals connected to the school (alumni, parents, faculty, students, peer institutions and university partners); the revised mission statement was unanimously approved by the full board of trustees in May of 2017. Ms. Hines holds a B.A. from Yale College and conducted her graduate studies at Harvard University. She lives in New York with her partner and their three children.